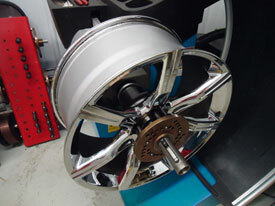 Tire and Wheel Installations – Our technicians mount and install everything from basic steel wheels to custom alloys. If your tires are already mounted and balanced on the rims we will install them directly onto your vehicle for convenient changeovers between seasons. 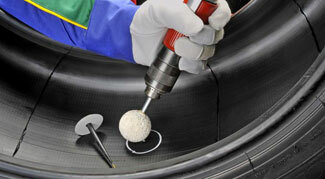 We recommend regular tire rotations every 8,000 to 10,000 kilometers. Wheel Balancing – Proper wheel balancing requires the necessary expertise and equipment in order to ensure a vehicle rides smoothly. At The Tire Store we have the experience and latest equipment to do the job right. We can optimize your wheel s and tires to help get rid of even the most stubborn vibration issues. Flat Tire Repair – Do you have a flat tire or are you dealing with a slow leak? 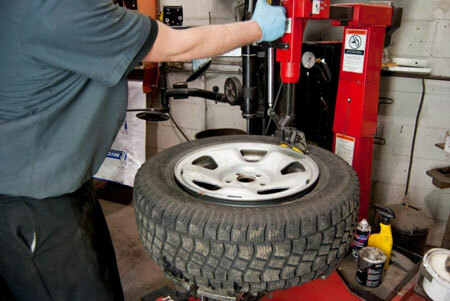 At The Tire Store our technicians are trained to determine if a tire can be repaired and to repair it properly. It is always necessary to have the tire removed from the rim and inspected for any damage before it can be properly repaired. TPMS (Tire Pressure Monitoring Systems) -We also service vehicles equipped with TPMS systems. At The Tire Store our service technicians are trained to properly mount and demount tires onto wheels equipped with TPMS. If your TPMS is not working we can reset it for you or if necessary have the sensors that are malfunctioning replaced.